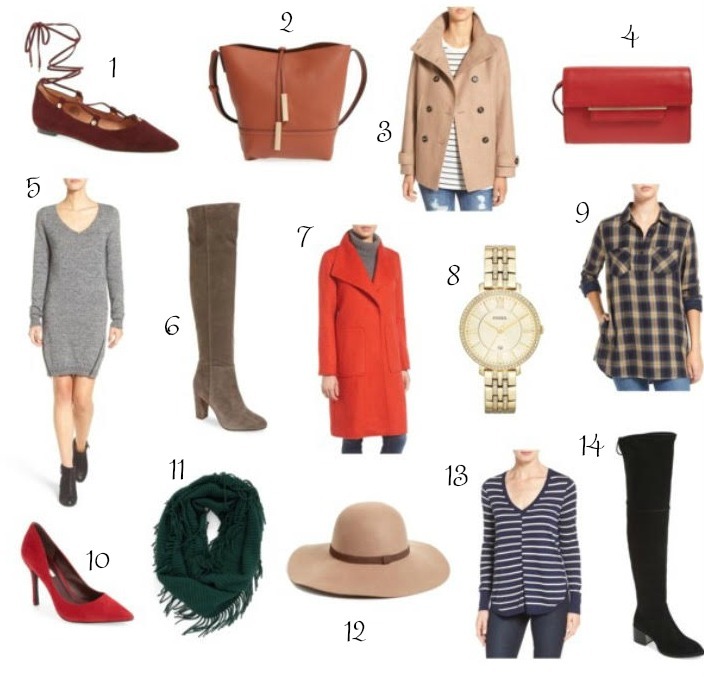 Nordstrom is currently having their Fall Clearance Sale now through November 13! So many cute fall items are on sale...some up to 50% off. I picked my favorites to make your shopping a little easier. With the holiday's coming up, it's time to start thinking about gift shopping! Many of these items make great gifts, like the Fossil watch, fringe scarf, and bucket bag. If you're looking for the perfect red pump for Christmas, the BCBG pointy toe pumps are gorgeous and a very good price! Also, the Bernardo coat is just beautiful and almost half off! Those flats have my name on them!